We are the first large Mobility Assessment Centre in Huntingdon and in Central Cambridgeshire. Anglia Healthcare and Mobility is a family run business. We are delighted to have two purpose built showrooms in Huntingdon and Leicester, for our clients where you can try 100's of our mobility products before you make your purchase. 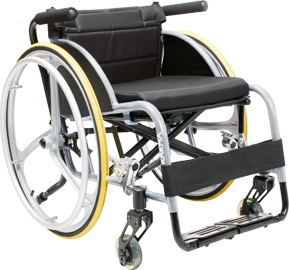 You can also purchase your mobility aids on our website. Please click through the menus to search for the product you require. Our website is regularly updated with new products, should you not find the item you are looking for please give us a ring, our friendly staff will be pleased to assist you in anyway possible. If you are not able to come to our showroom and wish to try or see the product first, we can bring any larger mobility aids to your home in our local areas. Over the years we have assisted thousands of our clients with different disabilities to get full access not to their own homes but outdoors, enjoying their full independence and delivering peace of mind that they have chosen a company with such a commitment to their clients to provide them with the right mobility product followed by high standards aftercare service. Being a family run business we focus on our customer’s individual requirements, helping you to find the right products for your needs and follow it by good after sales service. We will personally deliver all larger items in Cambridgeshire, Northamptonshire and Leicestershire areas. Other surrounding towns and villages we will personally deliver include: Peterborough, Cambridge, Huntingdon, St.Ives, St.Neots, March, Ramsey, Wisbech, Downham Market, Ely, Warboys, Chatteris, Newmarket, Saffron Walden, Littleport, Bedford, Northampton, Rushden, Oundle, Wellingborough, Kettering, Leicester, Melton Mowbray, Oakham, Stamford. For those of you who live further afield please call us for more details for delivery or alternatively we are happy to arrange delivery via our trusted courier service. If you need any help in choosing the right product or to arrange a visit to our Huntingdon or Leicester showroom please call us on free phone number 0800 042 42 45 or if calling from mobile 01480 276 938.